Did you know there is a recipe for fool? And it’s so simple! Almost too simple, so that you almost want to pass it by (as I have, many times). Something that easy (and oddly named) certainly cannot be very good. The first recipes I saw for fools — desserts made up pretty much of fruit and stiffly beaten whipped cream and that’s it — were in Irish cookbooks (they do love their odd names for things there), and involved stewed rhubarb and gooseberries, more widely used — and liked — in the United Kingdom. I’ve since run into fools — or, recipes for them — many, many times, and yet, still, did not make them, seeing the challenge of complicated, multi-stepped, many-ingredient desserts more worth pursuing. 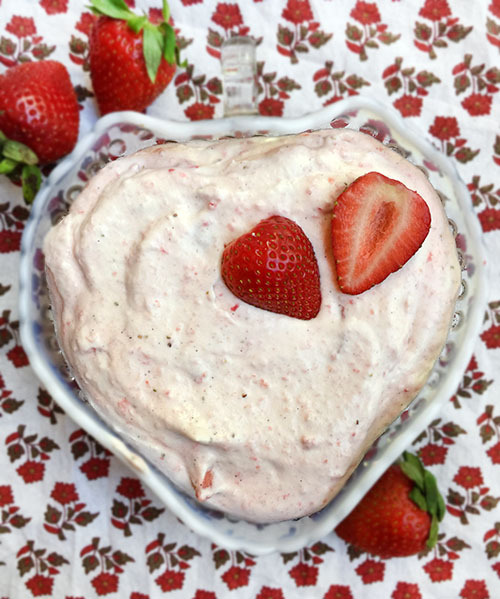 But I stopped in my tracks recently, reading the recipe for Strawberry Fool by Mark Bittman in The New York Times. 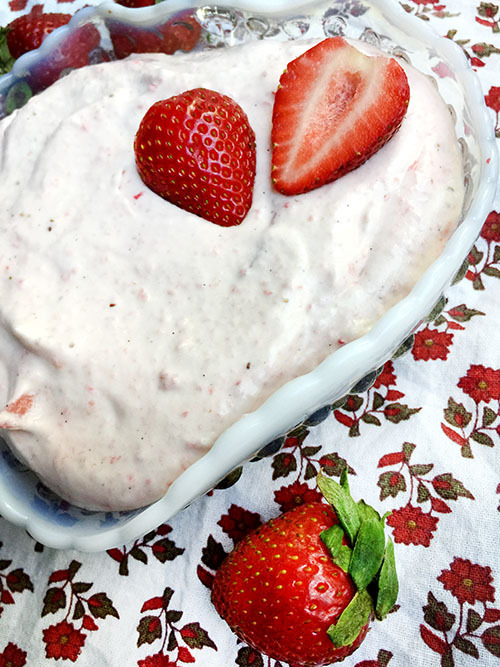 Strawberries are in season, and heavy cream is ALWAYS in season, and I, on a recent warm weekend, had finally wised up enough to create this light, cool, refreshing dessert. In “Jane Grigson’s Fruit Book,” (Atheneum; 1982), the renowned British food writer explores the originations of the name of this “pudding,” which she describes as “ a word that goes with trifle and whim-whim (trifle without the custard) — names of delightful nonsensical folly, jeux d’esprit outside the serious range of the cookery repertoire. The kind of thing that women are said to favour, but that men eat more of.” Grigson’s book contains a number of fool recipes, made with wild apricots, melon, papaya, persimmon; a Summer Fool of raspberries and rose water and a Winter Fool,, also made with raspberries, but made richer and sturdier with butter, milk and gelatin (as well as a little kirsch, framboise or gin). Reading through Grigson’s book made me think there were lots of fool-ish possibilities, and I wondered why everyone wasn’t making it. To honor the British tradition not only of fool, but a love of elderflower (given the recent buzz of elderflower cordial in the wedding cake of Prince Harry and Megan Markle, as well as seeing the addition of elderflower in one of Grigson’s fool recipe), I added a splash of elderflower syrup I had the in the fridge (yes, I have a few off-the-beaten-path condiments in my cooler) in the strawberries I first macerated for Bittman’s recipe. 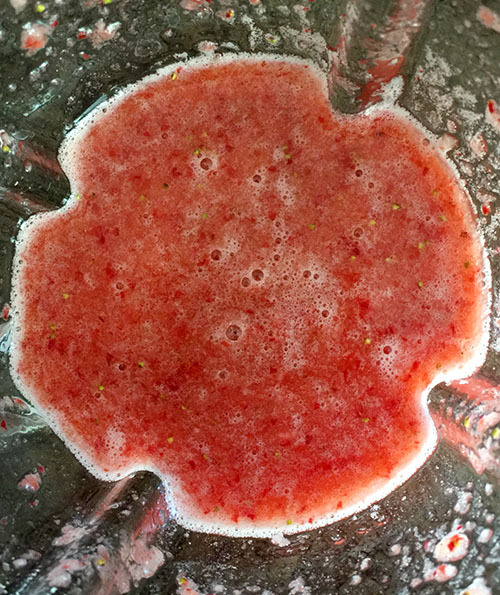 Once the berries begin to give up their juices (in about 10 minutes), part of the fruit and the juice is pureed in the blender. It takes but a wee bit to turn heavy whipping cream into the stiffly beaten fluffy beauty it needs to be. 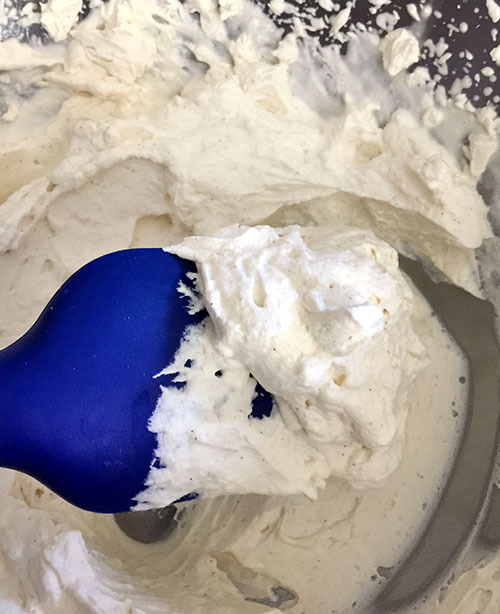 Before whipping, I added the small amount of sugar instructed and for my vanilla, used the more concentrated version of vanilla bean paste (a new favorite baking ingredient) to have those delightful little flecks of full vanilla flavor throughout the cream. For a moment, I thought I might be a fool making this fool…it seemed (to me) the proportion of liquid strawberry outweighed the whipped cream. I imagined a watery soppy mess (though probably a delicious mess). 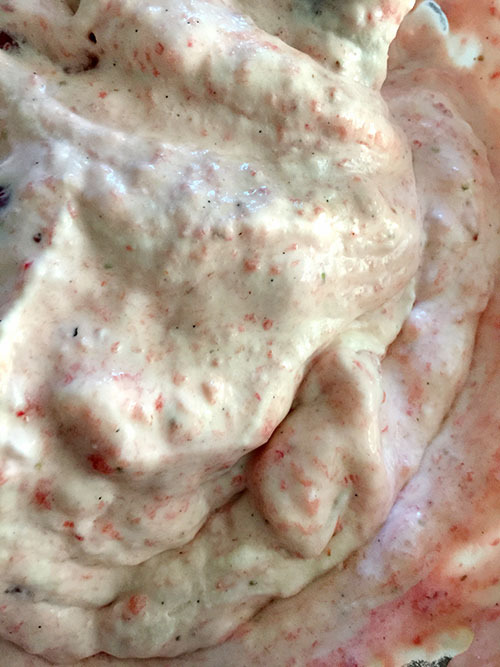 And I was foolish, the strawberries and puree folded beautifully into the cream, and the whole mixture remained a light cloud of celestial pink. The fool did not disappoint in taste, either….the full berry flavor of spring, lightened with fresh cream, a splendid dessert. 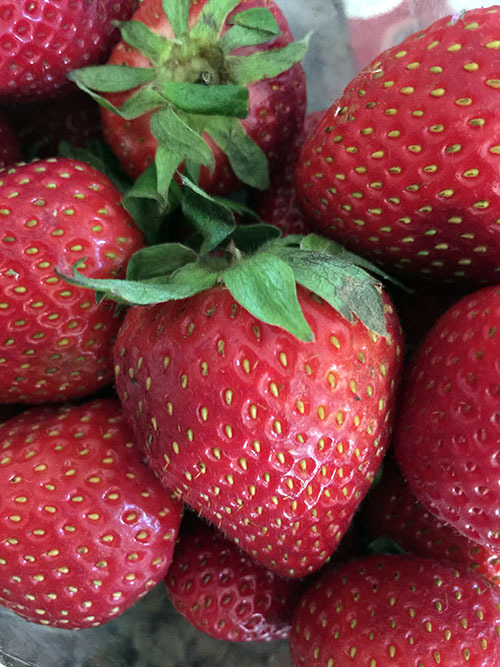 It was sweet enough, but not too sweet, and it could have had less sugar and been just as good (Bittman suggests adjusting the amount of sugar based on the ripeness of your berries). I would bet one could also substitute Splenda and Stevia in this recipe successfully (I’ll try that next). If I must, I will suffer many more fools (pineapple? raspberry? plum/nectarine?) gladly. It cannot get any simpler than that. Hull strawberries, then wash them and chop into 1/4-inch-thick pieces. 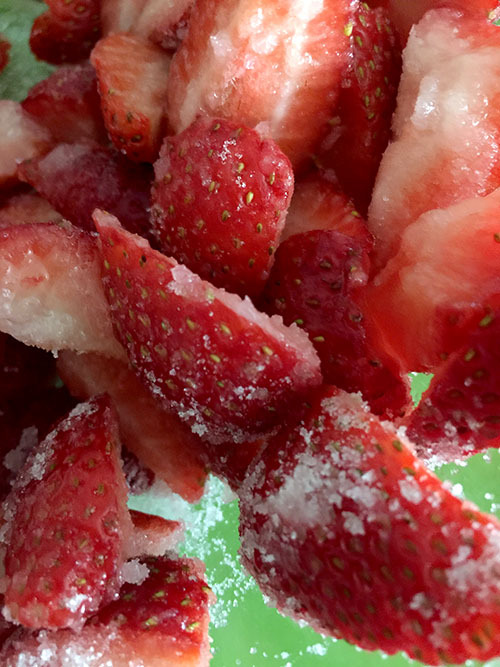 Toss with half the sugar, and wait 10 minutes, stirring occasionally, until they give up their juices. Place half the strawberries and all the juice in a blender, and puree. Pour puree back in bowl with chopped strawberries. 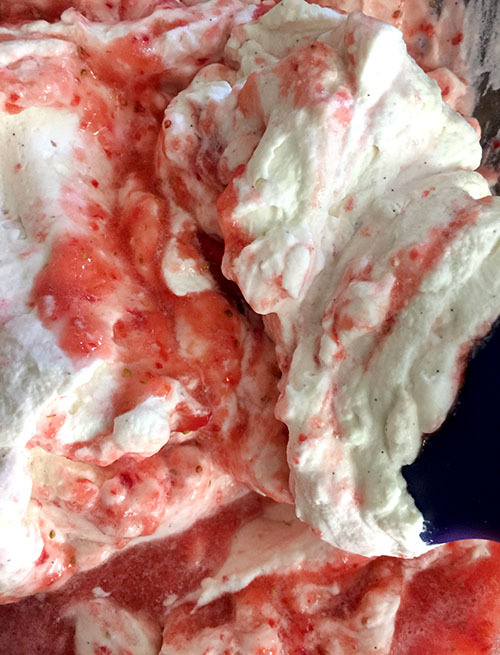 Whip the cream with remaining sugar and vanilla until cream is stiff and holds peaks easily. Fold berries and cream together, and serve immediately, or refrigerate for up to two hours.